Pharmacokinetics and pharmacodynamics for antibiotics is a topic that can seem intimidating, but when broken down to basics may serve less challenging than anticipated. 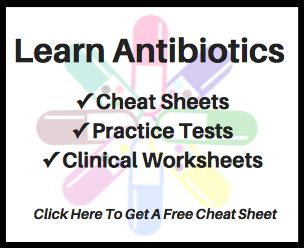 Here, a specialist in the area provides a pharmacokinetics and pharmacodynamics 101 for antibiotics. Imagine if you could predict concentrations of a drug in patients at any point in their therapy. What if you could also estimate the likelihood of treatment success in these patients? Now imagine if you could assess the probability of witnessing drug-related toxicities across various dosing regimens. The truth is that the answers to all of these questions are within our reach by leveraging the sciences of pharmacokinetics (PK) and pharmacodynamics (PD). What is pharmacokinetics and pharmacodynamics? PK describes the movement of drug through the body over time as influenced by the processes of absorption, distribution, metabolism, and excretion (i.e., “how the body affects the drug”). PD on the other hand is the study of effect (efficacy and toxicity) once the drug has reached a specified site of action (i.e., “how the drug affects the body”). The integration of these sciences is referred to as pharmacokinetics-pharmacodynamics (PK-PD) and is used to answer many important questions regarding treatment outcomes. Herein we will explore the basic principles of PK-PD and identify how they can be used to influence treatment decisions. Today, clinicians use a tool developed in the 1950’s to forecast response to therapy. That is, we utilize the minimum inhibitory concentration (MIC), a measure of the lowest concentration of drug required to stop the visible growth of bacteria in vitro. However, the unfortunate truth is that an MIC on its own is a relatively blunt instrument tasked with addressing an extremely complex problem. MIC values are limited in that they measure antibacterial activity over fixed concentrations of drug. Such a metric does not account for the time course of antibacterial activity as a function of fluctuating concentrations of drug in patients. In order to characterize the relationship between MICs and PK-PD, we must first understand the disposition of drug in the body over time and how this affects drug concentrations. Figure 1 depicts a typical “PK profile” for an orally administered antibacterial by plotting concentrations of drug in a patient’s serum over time. The premise is simple, but the insights which can be gleaned are powerful. With this information in hand, we are able to calculate meaningful measurements of drug exposures such as the area under the concentration-time curve (AUC), an estimate of a patient’s total drug exposure over a specified period of time, and the maximal or peak concentration achieved after drug administration (Cmax). It is important to note that not all drugs exhibit the same patterns of bactericidal activity. Some drugs exhibit what is known as concentration-dependent activity, meaning as drug concentrations increase so too do the rate and extent of bacterial killing. This pattern of activity is best captured by expressing exposures indexed to a pathogen’s MIC. These are commonly known as the AUC:MIC and Cmax:MIC ratios. For these agents, the wise clinician optimizes drug exposures to maximize bacterial killing while minimizing drug-induced toxicities. Conversely, for some drugs the rate and extent of bacterial killing is not increased over a wide range of drug concentrations. The activity of these agents is time-dependent and effects largely depend upon the time of exposure. This is best captured by the percentage of time drug concentrations remain above a pathogen’s MIC (%T>MIC). For antibiotics that display this time-dependent pattern of bacterial killing and have a short half-life, their total daily dose is often administered in equal, divided doses throughout the day―which maximizes the duration of time drug concentrations remain above the MIC. Such is the case for most of the beta-lactam antibiotics we use today. Collectively, the AUC:MIC, Cmax­:MIC, and %T>MIC are the three most frequently used PK-PD indices of efficacy (Figure 2). We can now begin to use this information to answer more interesting questions. For instance, we could explore the relationship between bacterial density (measured as log10 ­colony forming units [CFU]) relative to magnitudes of these PK-PD indices. When a relationship exists, it is typified by a sigmoidal curve such as the one depicted in Figure 3. The shape of this curve shows us that at either extreme of the relationship we will not be able to elicit an appreciable change in effect with changes in dosing. However, there is a “sweet spot” towards the center of this relationship wherein we can elicit great changes in response with relatively minor adjustments in a patients’ exposure. The overview provided above only scratches the surface of what can be achieved through the application of PK-PD. Utilizing data obtained from patients in clinical studies we can construct population PK models capable of estimating patient exposures in a nearly limitless number of clinical scenarios. These models can also be utilized to predict the probability of treatment success and to conduct exposure-response analyses, characterizing relationships for safety and efficacy. Most often, the greatest challenge is not answering our questions regarding therapy, but rather knowing the right questions to ask to give way to the next great insight. Craig WA. Pharmacokinetic/Pharmacodynamic Parameters: Rationale for Antibacterial Dosing of Mice and Men. Clinical Infectious Diseases. 1998;26:1-12. Drusano GL. Antimicrobial Pharmacodynamics: Critical Interactions of ‘Bug and Drug’. Nature Reviews. 2004;2:289-300. Ambrose PG, Bhavnani SM, Rubino CM, Louie A, Gumbo T, Forrest A, Drusano GL. Pharmacokinetics-Pharmacodynamics of Antimicrobial Therapy: It’s Not Just for Mice Anymore. Clinical Infectious Diseases. 2007;44:79-86.